I was truly my most fashionable self at the prime age of 12: My uncontrollable bangs gave my mismatched outfits a degree of je ne sais quoi that even Lauren Conrad would have been hard-pressed to recreate. Unlike LC, however, I wasn’t rocking the designer labels at this time but instead strutted my stuff in equally catwalk-worthy attire. My favorite article of clothing was a pale yellow shirt covered in glitter from Justice — because Limited Too was too mainstream — that read, “Brain freeze: It’s a risk I’m willing to take.” The phrase continues to be my life motto, and it inspires me on the daily to indulge in all sorts of frozen treats. Luckily, Evanston is far from a dessert desert, and I set out to find E-Town’s most brain freeze-worthy treats. Because if you’re going to suffer, it may as well be for a yum-o treat. 6. 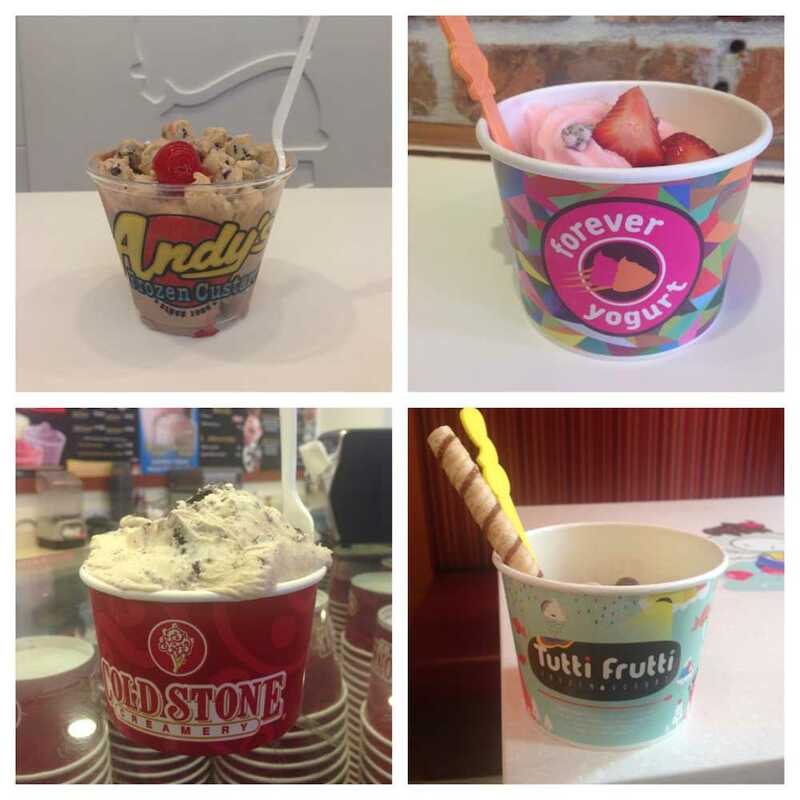 Tutti Frutti, 809 Davis St.
New on the Evanston froyo scene, Tutti Frutti bottoms out my list. It’s farther from campus than most other offerings, and the flavors were below par. Adding insult to injury, the fresh fruit toppings were seriously lacking, and I found myself utterly disappointed by even my go-to cookie dough topping. All in all, I don’t think I’ll be going to Tutti Frutti again. 5. Cold Stone Creamery, 1611 Sherman Ave. I really like hard-scooped ice cream, but Cold Stone simply doesn’t do it for me. Maybe it’s the buttery feeling it leaves in my mouth, or perhaps it’s the absurdly high prices. But overall, this treat is best left alone. 4. Potbelly Sandwich Shop, 630 Davis St.
A bit of a dark horse in our frozen treats race, the Potbelly milkshake should not be overlooked. The storefront is sandwiched (get it? Sandwich? Potbelly?) between two frozen drink giants in Edzo’s and Jamba Juice but offers significantly lower prices and a delicious flavor. The Oreo shake even comes with Mini Oreos on top, and in addition to being arguably the cutest snack cookie of all time, the Mini Oreo is positively scrumptious. 3. Forever Yogurt, 1739 Sherman Ave. I have to say, froyo is not usually my dessert jam, but Forever Yogurt brings the heat with its cool treats. With far better and more creative flavors than Tutti Frutti and a toppings bar that just won’t quit, Forever Yogurt is an excellent dessert option. 2. Edzo’s Burger Shop, 1571 Sherman Ave.
There’s a reason Edzo’s was featured on Food Network. The milkshakes at Edzo’s are unparalleled, and the gigantic portions almost make up for the relatively high price. I have consumed way more Nutella milkshakes from Edzo’s than is medically advisable and can firmly tell you there is no better way to lull into a sugar coma. 1. Andy’s Frozen Custard, 719 Church St. In my diet, Andy’s is its own food group, so when I got an email last week stating that the custard shop was changing its loyalty program to offer rewards, I was rightfully thrilled. The frozen custard is about as perfect as ice cream can get, and with a WildCARD discount, the sticker price is a little less shocking. From jackhammers to concretes, Andy’s is absolutely Evanston’s best frozen treat location and truly stands in a league of its own.